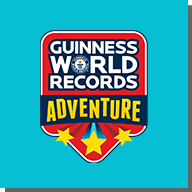 See the Amazing Book come to Life at the ALL NEW Guinness World Records Adventure! 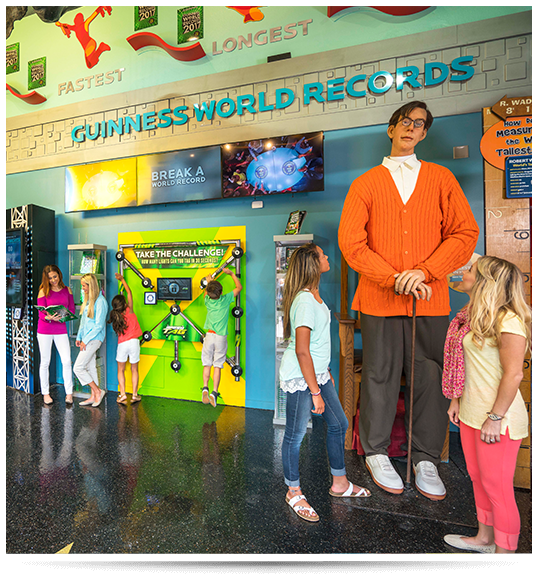 Unbelievable Exhibits, Authentic Memorabilia, Incredible displays, cool games, trivia, themed galleries and videos! Over 20 Interactive games & challenges including: Block Breaker, Quick Draw, Lumberjack Tree Hack, Frisbee Toss & more! 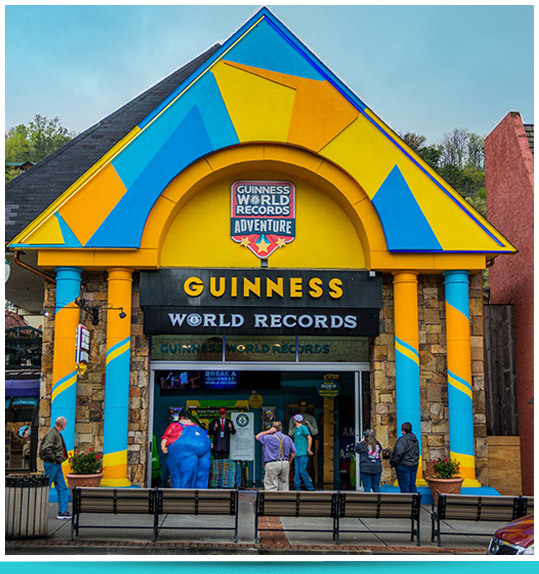 Test your skills, attempt to Break a World Record in the new Largest Interactive Challenge Gallery!